At 2019 International Women's Day, I can't help but think about how lucky I've been to work with so many incredible people - especially powerful women creating fabulous and challenging art and making the world better for women and girls! One year ago, I was at The Adelaide Fringe Festival where I produced 16 shows and took some amazing Canberran women/non-binary-babes to share their amazing talents with South Australia (Miriam Slater, Francis McNair, Rainbow, Miki Minx). 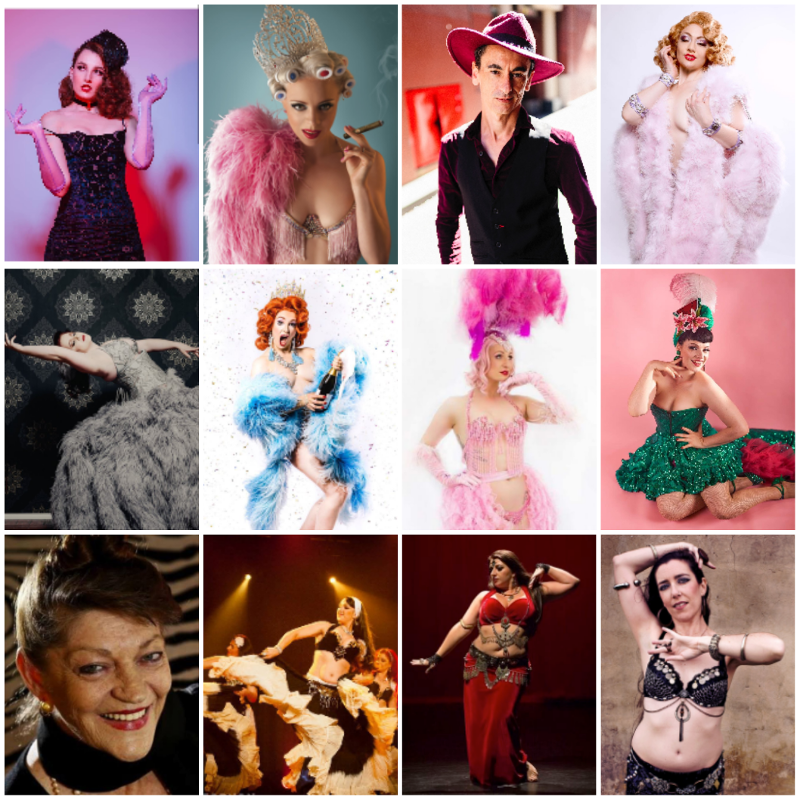 Now I am fresh back home from another tour of The Adelaide Fringe Festival, where I produced 4 shows and took another gaggle of inspiring women (Charlie Chapstik, Rainbow, Miki Minx and some of the Fabulous Fan Dancers: Sara Martini, Jupiter Rayne, Doe Dantalion)! If there is anyone on this list that you haven't got to know yet, I strongly recommend checking them out! They are all amazing artists with unique pasts that have helped ensure the Canberra productions bring together women of different cultures, backgrounds, ages, and identities. Feeling very lucky that I've been to play a part of sharing some of Australia's amazing women with the local Canberra community and also taking some Canberra talent across Australia! Let's keep sharing this love, building each other up and continuing to grow our amazing community! As part of looking back on the amazing people I've had the pleasure of working with other the past 12 months, I updated all my records and thought it was a good time to take stock of some of the achievements that have happened since last International Women's Day. It has been a big year. Sometimes I think about how much easier life might be if I chose to go back to working my day-job full time and stopped dedicating so much time/money to producing shows, performing and teaching... but I really do love it and I know that my students and people who get along to shows and workshops appreciate the effort... and I can see the Canberra community continuing to grow and become more and more vibrant every day and that really does make it worthwhile!